You save £17.10 that's 74% off! These Globe LED light bulbs are a sound investment for any home and offer a genuine replacement for a traditional 60W light bulb with a bayonet B22 . 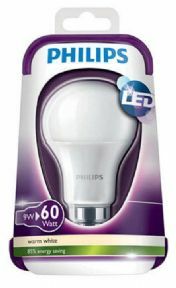 Each bulb features high power LED's which equates to a 60 watt equivalent bulb, our highest powered and brightest Bulb. They are perfectly sized so you can simply unplug your existing B22 and replace with your B22 LED. These bulbs have a huge 200 degree beam angle,providing maximum light output at 806 lumens. All our bulbs are made from aluminum/ceramic/plastic or have aluminum/ceramic heat sinks, this keeps the bulbs at the correct temperature to ensure there life span. They consume only 8 watts of electricity and are available in warm white. Although they are initially more expensive to purchase than a standard bulb due to the fact they have a life expectancy of 15,000hours and the potential to reduce your electricity consumption by up to 90%,many customers can experience a payback period of 3 -6 months. With this sound investment you are saving on electricity and replacement costs year after year. 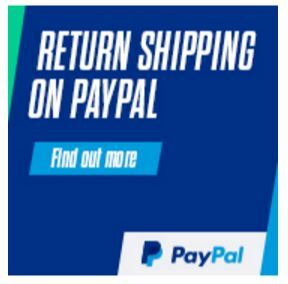 We send all goods via tracked delivery as a minimum for extra protection and peace of mind. This is an outstanding product and very reasonably priced for the quality. I purchased the B22 socket and in terms of a replacement for my incandescent 60W it is more than adequate. I have one in the bathroom that is contained within a globe casing and cannot tell the difference. Will be looking to replace other bulbs in the house as they go.